For Londoners, taking a well needed caravan or camping trip is the chance to escape from the endless rush of city life and find some much needed relaxation. Whether you want to escape from London for a while or even find a little slice of countryside in the nation’s capital, you will find this brief guide to five distinctive British locations the chance to head out into the wider world and enjoy a bit of time away from an urban environment. Here, then, are five locations across the UK which offer fantastic, even award-winning camping opportunities. Located by the seaside in the heart of the North West, Blackpool is famous for its Pleasure Beach and spectacular theme park. There’s plenty to see and do here, and there are many modern caravan parks to visit, such as Blackpool South Caravan Club Site, Pipers Height Caravan Park, Clifton Fields, and Haven Marton Here Holiday Park (the latter is a particularly modern and enjoyable location to spend a holiday). It’s an ideal location for couples days out, too, with Blackpool offering its spectacular theme park with great prices and plenty to do for all ages. There’s also the Pleasure Beach, of course, which is suitable for long walks and to take in the seaside air. A little known area just outside Chorley (to the North of Manchester), Rivington offers some of the most beautiful rolling countryside in the UK. The primary camping area is Wilcocks Farm Caravan Site. Located at the foot of Winter Hill and near to Rivington Country Park, the opportunities for hikers are seemingly endless. Central to the area is the spectacular Rivington Pike, which features a giant television mast transmitting radio waves across the county. There is also Rivington Pike Tower, which is a Grade II listed building which was apparently constructed in 1733. However, there are numerous other areas to visit in this beautiful part of Lancashire, with local villages and towns such as Adlington, Horwich, and Chorley offering plenty to see and do for all ages. Historic Kent has some of the most charming architecture in England, but it also boasts some spectacular countryside as well as numerous seaside resorts. There are several locations which are particularly well known, such as the Isle of Sheppey which is just off the coast of Kent. With towns such as Faversham, Sittingbourne, and Sheerness to visit, as well as numerous beaches, it’s a caravan owners dream (particularly during the summer). Other options include New Romney, Greatstone-on-Sea, and Meopham. The latter is a village boasting windmills, small cricket clubs, plenty of traditional pubs, and some amazing scenery. The Badgells Wood Camping site is a favourite here, with plenty of activities for all ages, country parks, and many locations to go for a walk. It’s a peaceful location and definitely one for retirees or anyone seeking some solitude. This county boasts sandy beaches, fossil cliffs, medieval towns, moorland, and lots of sweeping countryside. Camping and caravanning is a must. Crealy Meadows is one such option which is situated in Exeter. It has a wide range of facilities, a small theme park, and a selection of tents which vary between medieval and modern glamping. This is particularly suitable for families, as children will be occupied easily. There are other possibilities, of course. There’s Lydfford Caravan & Campsite, the Hidden Valley Touring and Camping Park, and Hilhead Caravan Club Site. As Devon is such a beautiful county, choose your location based on your preference for a seaside or countryside resort. The nation’s capital may be a sprawling metropolis, but this doesn’t mean there aren’t places to go camping. There are plenty of wonderful retreats you can find, which offer camping and even glamping (the more glamorous side of pitching a tent). 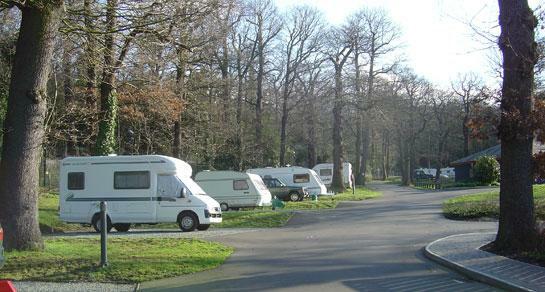 Caravan parks and camping sites such as Lee Valley (Edmonton), Crystal Palace Caravan Club Site, and Lee Valley Campsite (Chingford), Abbey Wood Caravan Club Site, Chertsey Camping and Caravanning Club, and Debden House & Camp Site offer modern facilities and the chance to turn London into an idyllic, relaxing experience.